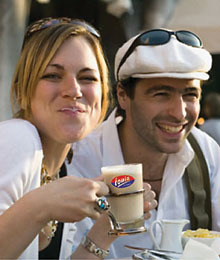 Wake Up and Smell Alfa Cappuccino! Do you recall when you enjoyed your first sip of coffee? Chances are your intense love affair with caffeine is still going strong, as you yearn for its rich aroma each morning. “It must be of a sweet taste – not bitter – and it must have a few centimetres of froth or schiuma, as we call it. And when you pour the sugar into the coffee, it should be allowed to sit for a few seconds. It is an art. 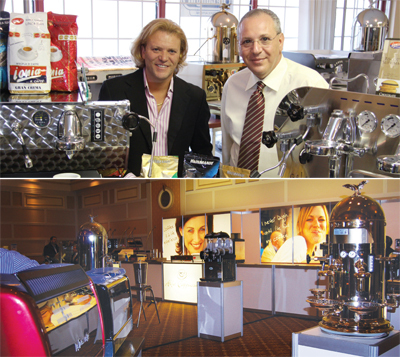 No doubt about it,” says Ross Cammalleri, owner and general manager of Alfa Cappuccino. This, his sharp, impassioned and tempting description of the ideal espresso, sends the java-obsessed on frenzied coffee runs.